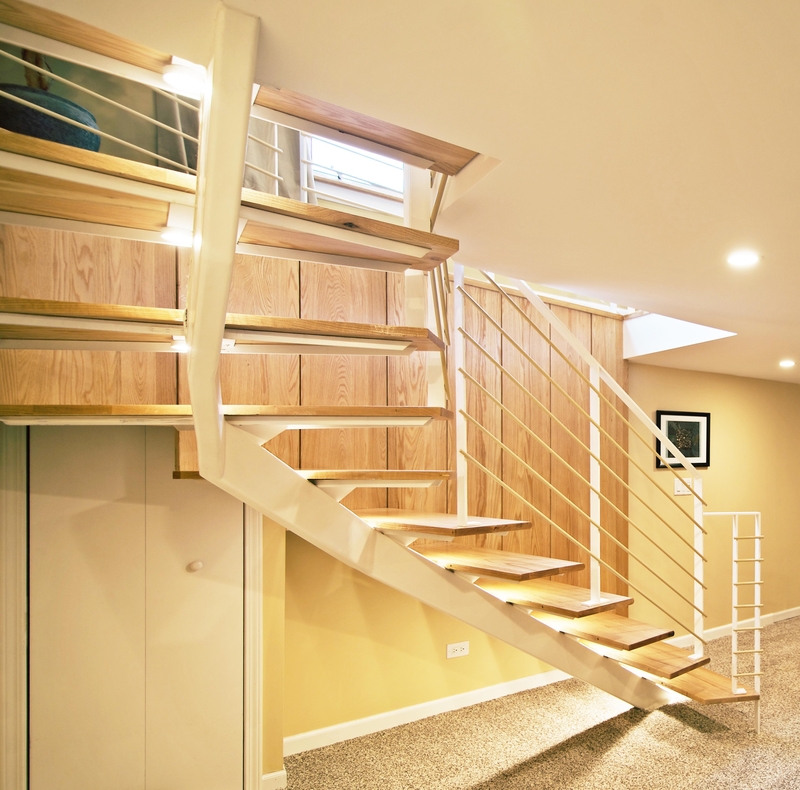 General Contractor: Henry’s Construction, Inc.
A kitchen remodel, led to the displacement of the existing staircase. Considering the living room & basement had ample room, this placement was settled upon. A small corner water/hvac closet needed to remain. Structural concerns also had to be addressed due to joists orientation. Another goal from the owners was a clean, open feeling, that connected the two levels. Natural & LED lighting was also requested. 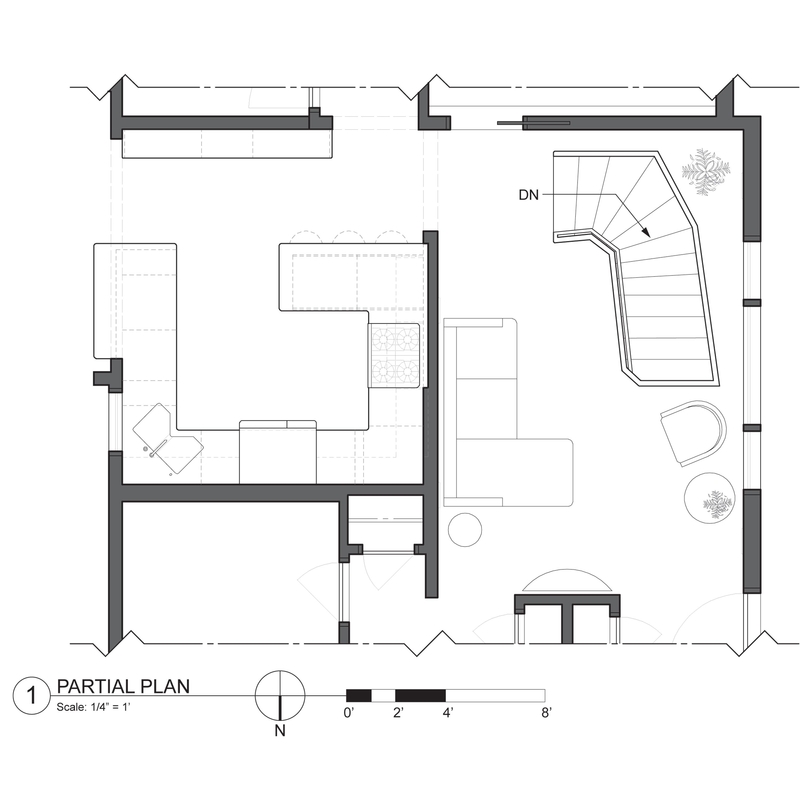 In order to fulfill the program & navigate restrictions, the stair took on a dog-leg form; wrapping the corner of the living room, into the basement. This fluid motion bring users efficiently to either destination; all the while sliding past the utilities that fade into the lower corner. 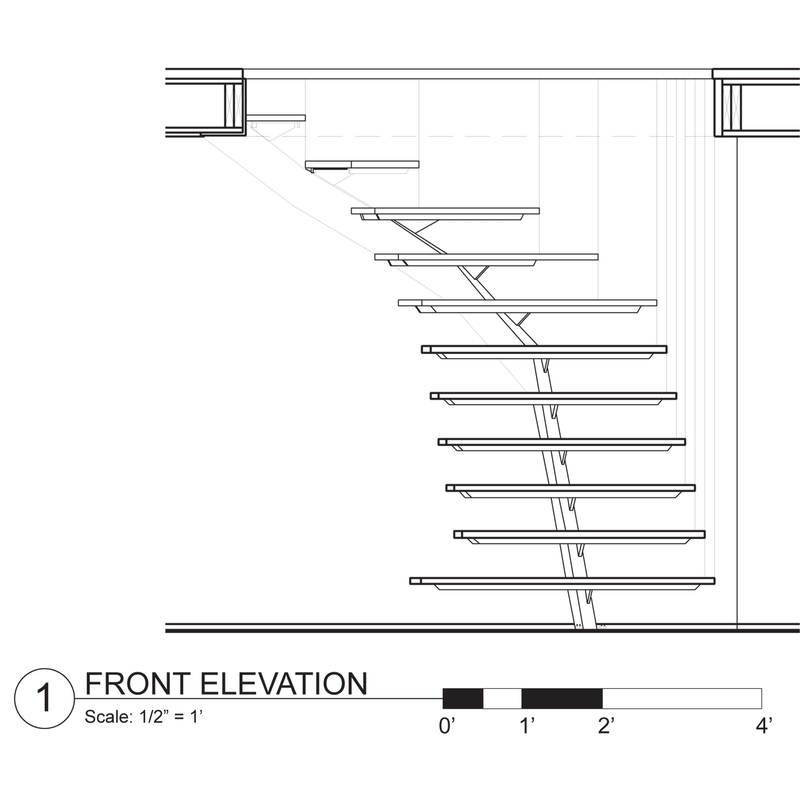 In order to avoid a column, a double 20’ lvl was inserted & cantilevered to the bend in the stair. 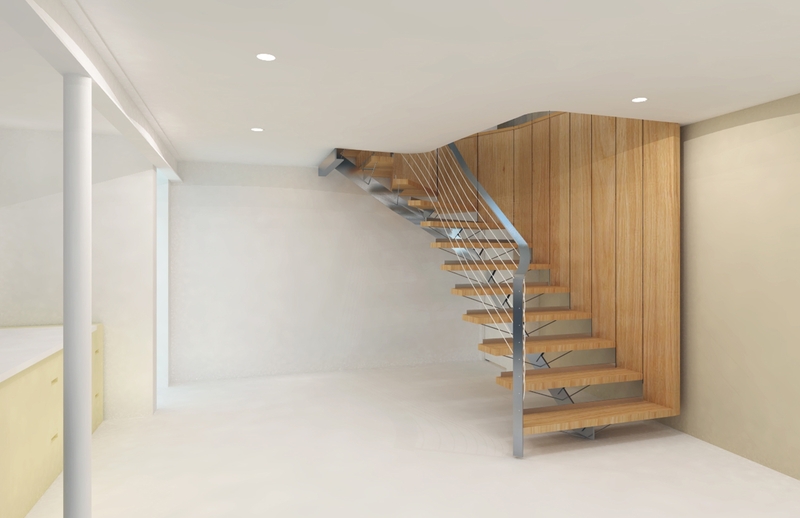 A steel spine was also introduced to ruggedly support the stair, while still remaining light. 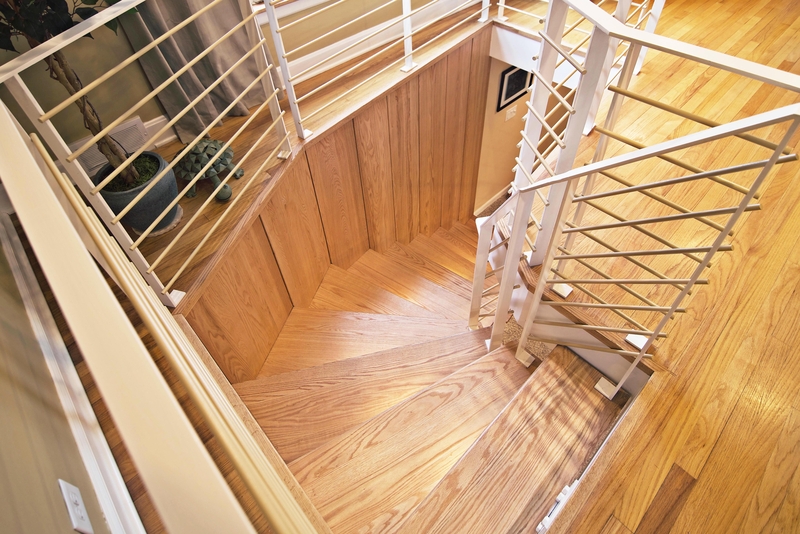 Secondary bracing occurs where the oak treads meet the vertical planks; again, adding to the thin, but sturdy mantra. LED lighting below each tread, further the feeling of floating through the two levels. Natural lighting from front windows pours directly to the basement, creating a feeling openness & connection.